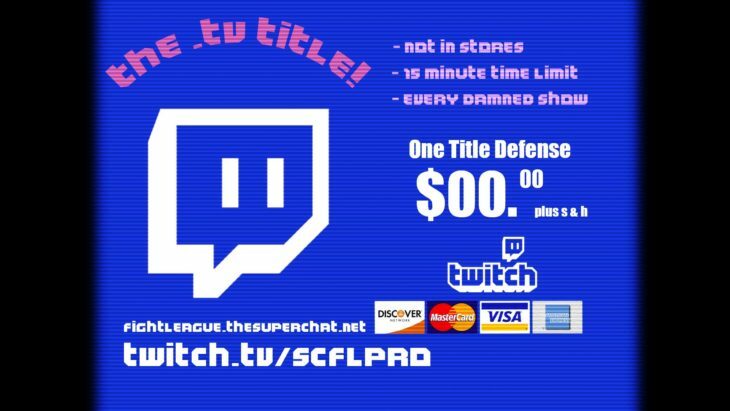 The SCFL Pro Dot TV Championship is a Twitch exclusive title that is defended on each and every broadcast that SCFL does. This makes it a grueling, demanding and utterly prestigious title within the promotion. Offers Thompson won the championship first, defeating the now-deceased Alex Thompson in the finals. The title is unique in that it has a fifteen-minute time limit, which forces challengers to push as hard as possible to win the title and gives champion’s a chance to stall and look for a draw, which is counted as a successful title defense. Occasionally the title can be contested inside of a steel cage, where escapes are a legal way to win.